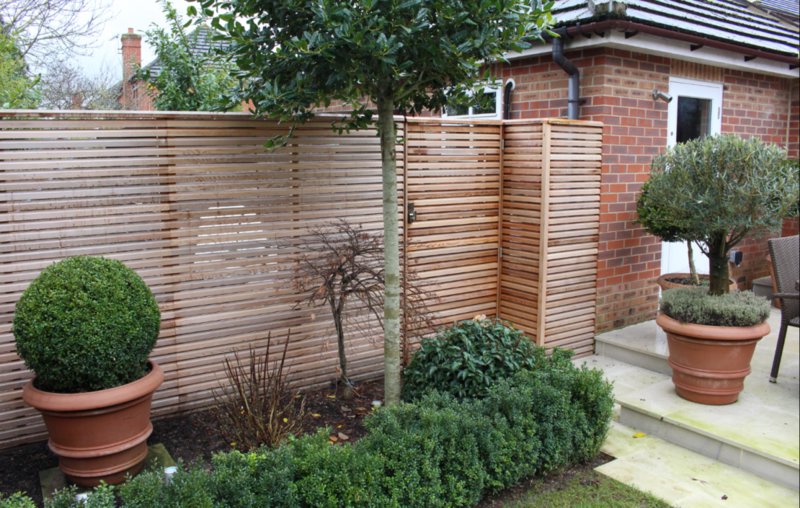 Combining play and sophisticated adult areas is not difficult in country gardens with acres of space but the challenge for Garden Designer Paul Dracott msgd, was to combine these two in a small city centre garden. Aura in Cambridge is a development of contemporary townhouses with small rear gardens. 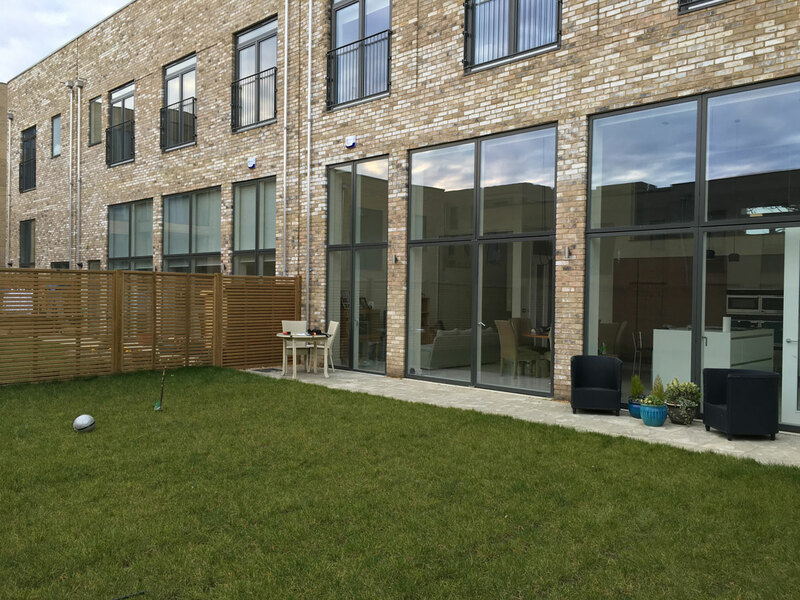 Paul was commissioned by a family living in a four storey town house with double height glass fronted family room and kitchen across the entire rear elevation. His brief was to create a dual use garden with two zones; one for adults and the other for sports play. On arrival at the initial meeting the client had already marked out the garden, splitting it in half, left and right. As the garden was wider that in was deep, this would seem sensible. However, Paul’s design split the garden width ways and created an entertaining area across the entire width of the family room and kitchen with a play area to the rear section. The challenge was to separate these two areas and keep the eye within the first area whilst leaving enough space behind for hockey and football. The solution took inspiration from the overlooking windows of the neighbouring properties and the contemporary architectural style and used random CorTen steel obelisks and walls clad in the same basalt as was proposed for the terraces. These partially obscured the play area but allowed light through and brought in the city scape beyond. A narrow rill edged with Corten and fitted with three bubble jets acted as a focal point, created reflection and cut out ambient urban noise. Paul specified that the adult terrace be laid with the basalt flagstone used in the walls and interspersed with random strips of black Vande Moortel Belgian brick. Bonding of both ran across the width of the house to keep the eye in the first area and make the garden space feel larger. To the rear of the wall a premium grade astro turf was laid within a basalt frame. Planting in the adult area used grasses and evergreens with two multi stemmed trees, Eriobotrya japonica and Acer daviddi, used to frame the area. Orange foliaged Carex buchananii harmonized with colour pallete of the steel and added movement. Later in the year, Paul was commissioned by the same family to design their large roof terrace. “Whilst working on this,” he explained “ I looked over the parapet wall and saw three children playing hockey on the astro turf while their parents sat chatting and drinking coffee in the adult section. It is rare to have an opportunity to see, let alone a birds eye view, of your design working so perfectly for the client”. This garden also won for Paul the Vande Moortel Clay Paver award for best Contemporary Garden, proving play in a small garden can also be stylish and contemporary.